The Google map includes road directions to station, bicycle routes between Truckee and Sagehen, and local Truckee services regularly needed by station visitors. Google Maps will find us, but other mapping apps may take you to the wrong place. The year-round station facilities are at an elevation of 6,380 feet in California on the east slope of the northern Sierra Nevada, approximately 20-miles north of Lake Tahoe. 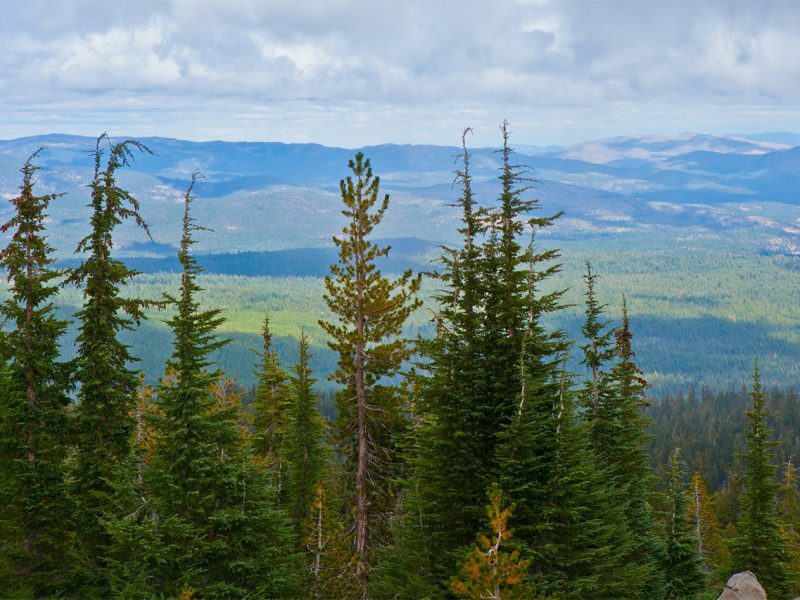 The roughly 9,000-acre Sagehen Creek watershed includes yellow pine, mixed conifer, and red fir forests, brushfields, scattered mountain meadows and fens. Deep snow is typical of the winter season, and dry, warm weather is typical of the summer period. Sagehen Creek is about 8-miles long, extending eastward from near the crest of the Sierra to Stampede Reservoir on the Little Truckee River. See aerial photographs of the basin. The watershed is managed by the Truckee Ranger District of the Tahoe National Forest & the Pacific Southwest Research Station primarily for research and education. Sagehen Creek is a candidate for inclusion in the Wild and Scenic River Inventory. Visitors must submit a station use application and make a visit reservation, then make arrangements with the Station Manager for the combination to open a locked gate about 200 yards off of California Hwy 89. The 1.8 mi. entrance road (from Hwy 89) is unpaved and snow is removed during the winter as far as the field station. High clearance vehicles are helpful, but not mandatory. Over-snow vehicles, snowshoes and skis are used to access research facility in the upper Sagehen basin beyond the field station between roughly November to May. Visitors should carry tire chains and extra clothing while traveling anywhere in the Tahoe area during winter months. More information about the Sagehen Creek Field Station and the Sagehen Experimental Forest is available here. 3,642 hectares (9,000 acres) by agreement with the USDA Forest Service.